When it comes to reading, I don’t ALWAYS pick a good book. It doesn’t even have to be famous as well. Carlos Ruiz Zafón once quoted, “Every book has a soul of a person“. That’s why if I feel like reading, I just pick up a book and read it till the end. Today, with the expeditious growth of the internet, many people have a freedom to share their thoughts or personal experiences via an online web with ease. 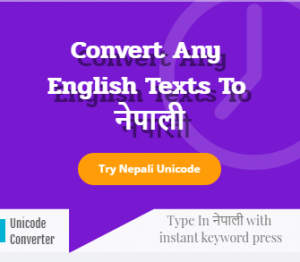 They can write anywhere, any place, and at any time online or offline. It is even easier to read people’s thoughts, notions, beliefs, or their perceptions toward something or someone just with few google searches hitting fingers on the keyboard and few clicks on the mouse. It is no surprise that many good writers/bloggers are making their living just by writing. Yes, I just said Just By Writing. It’s not because of their propensity to write good enough but because they avoid blunder mistakes due to which heavy visitors are attracted to their sites. And you know the best part? Once the users browse the bloggers’ website, they will be the ones who will be the regular returning visitors. Ok, now let’s go straight to the point. Like others, I do follow few bloggers regularly. One of my favorite bloggers is John Chow. I am not a great writer, neither I have a great grammar skill. But if someone asks me the main reason behind blogging, I would name John Chow and James Artucher. They’re one big inspiration to me to write. Let’s not talk about me here for now. While reading through articles of John Chow’s blog, I found one of his excellent posts fascinating which he has posted long ago entitled “list of popular blogging mistakes“. Below are his top 10 lists. Don’t hesitate to read his full blog post here in details. And later, I will share my opinion on this. Please co-operate. I will outpost an opinion of myself of the above points.. All the above 10 must not be taken as a granted by any blogger but try to improvise them. Personally, I think mistake point numbers 1, 9 , and 10 are the most important for me. For now, I’ll just posit my opinion regarding the above points thoroughly here. The only regret I have on my blog, till date, is I don’t write frequently . 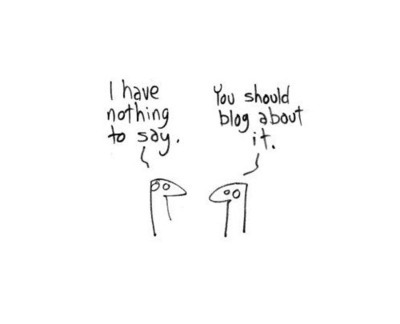 I am one of those who is guilty of this Blogging Mistake. I don’t want to make excuses of not having the time or anything. The Alexa Ranking of my site declined drastically from 1,00,000+ TO 2,00,000+ just within a month. If I continue to be lazybones, I am certain that Alexa will kick my site out of their system. :-P. I’m not lyring on this. I, then realized that the main reason behind the shrinking of my site’s ranking was not because of my site popularity or not solely updating new posts, but because the main reason was the old returning visitors were gone. They probably were tired of reading my old posts or my site was no more useful to them. They already got what they needed. That’s why the blog posts should be updated frequently for the blog success. The big Fail? “Rushing for writing as many posts as possible“. Many bloggers burn the candles at the both ends trying to get approved by AdSense or their alternative. And therefore, they write as many contents as possible. This may work at first but not at a long-run. No matter what and how the quality of the site is, their entire motive is the obesity of the contents. Their income will be limited afterward and will not be a big hit. Everybody makes mistake but if the same mistake is made over and over, then it’s called stupidity. Therefore, try to revise your blog thoroughly. It doesn’t have to be perfect or shouldn’t be with the perfect Grammar. We’re not here to write the best-selling Novel or win a Nobel Prize in literature. My point is a Blog is what it is to share ideas with other people. Just don’t rush to hit the Publish button before revising. Don’t write news posts unless your blog is not solely about news portal. Instead, write an opinion based on something or anything. People don’t have time to read your contents if it contains the flash news and blah blah. There are sites like BBC, CNN, Daily-mail people rely more than your blog. Readers may find fascinating reading your point of view instead. Well, although I took this writing idea from John Chow’s blog, the main reason I wrote is to share my opinion on this. 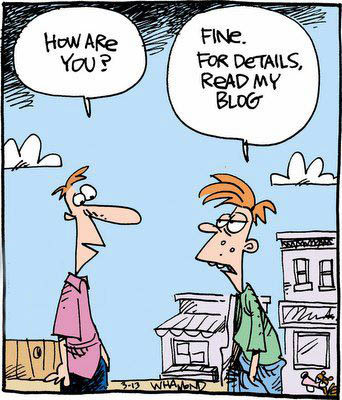 That is how a blog works. Sharing opinion is ok, but copycat is more dangerous than drugs. The entire credit goes to no one but Chow. In contrast, what most bloggers make blunder is that they copy the exact same contents from beginning to the end. Or they scatter few words here and there but there’s no any genuine idea. This just doesn’t make any different from another one’s article. Uniqueness is necessary for a good blog. This is the silliest mistake that any blogger will make. I don’t get much comments or replies from users on my blog, but once I do, I don’t hesitate to reply them. In fact, I love comments. Good ones or bad ones. It is important to know that the blogger and users are the two sides of the same coin. Without each other, the blog will be useless and futile. Therefore, the blogger should manage time to reply to every comment unless they contain spams. It won’t take more than a minute to respond to a single comment. Then why not do it ? Also, the writer should have guts to accept criticism and mistakes posted as a comment by users. It would be a crime to ignore them because accepting mistakes and criticisms are the keys to improvement. Without the realization of mistakes, there is no progress. :-). This is what most unsuccessful bloggers do. They write for google instead of valuable readers. Of course, it is important that your site should have SEO friendly contents and keywords to rank high in Search Engines. But keep in mind that google doesn’t read your blogs. People do. Your primary focus should be People first and then only Google. Writing headlines and full of keywords just makes no sense at all. Eventually, people get bored reading your article and will disappear forever. So, these are the lists of the mistakes the bloggers should avoid for successful blogging. Learn from others mistake, you don’t have enough time to make them all by yourself. Do share your opinion on the comment below what you feel about the above points. Happy bloggers ! !